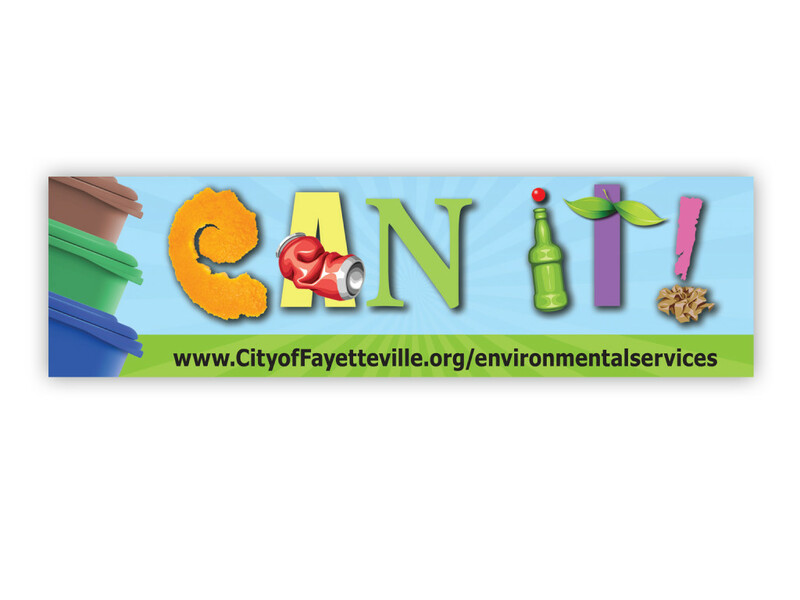 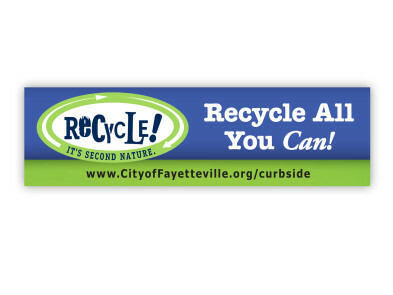 The City of Fayetteville offers resident-friendly waste disposal service, including curbside pick-up of household trash, yard waste and recyclables. They sought our expertise to develop two campaigns. 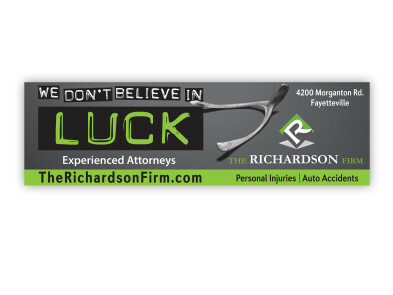 And these billboards reinforce the campaign messages conveyed in other media. Outdoor advertising felt right “at home” for this client whose business is outdoor adventures. 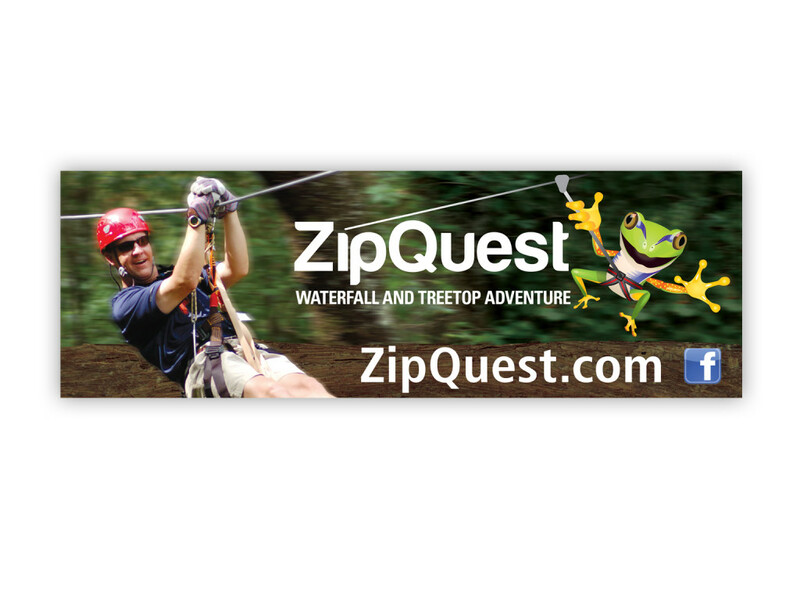 ZipQuest offers zipline tours high above nature’s splendor, and they wanted people to know that this exciting new what-to-do attraction had zipped into Fayetteville. 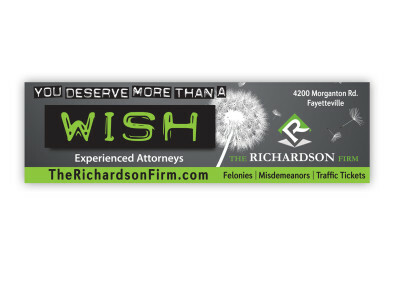 Billboards offered an ideal medium. Strategically placed along major, high-traffic corridors, they got attention! 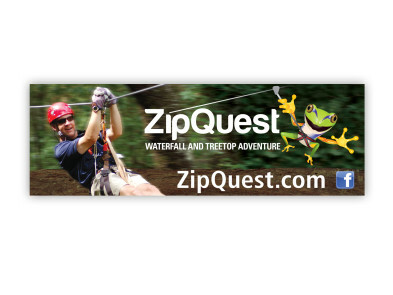 Data shows that a high percentage of people visiting the ZipQuest website for information, or to book a tour, did so because they had seen the billboards. Sometimes, diamonds are an ad agency’s best friend! 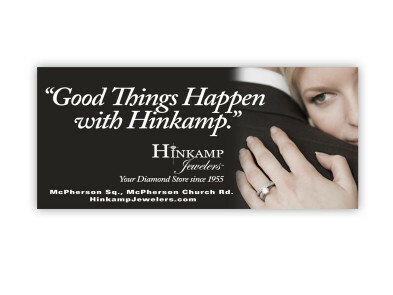 Hinkamp has been a trusted name in the Fayetteville area market since 1955, but they were facing increasing competition, particularly from “big box” stores. As part of our overall marketing campaign to maintain and increase their sales, we included billboards. 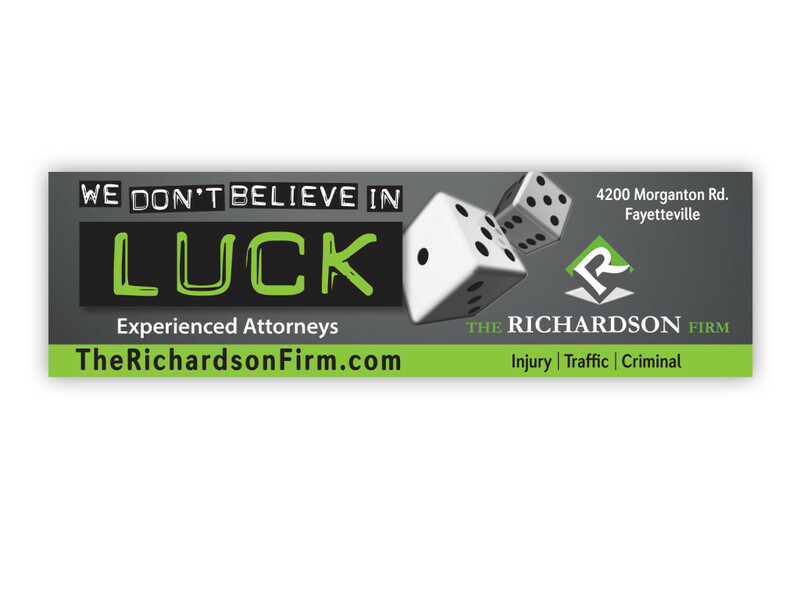 And when it came to graphics, we figured the client’s stunning products (dramatically highlighted against a black background) would speak for themselves. 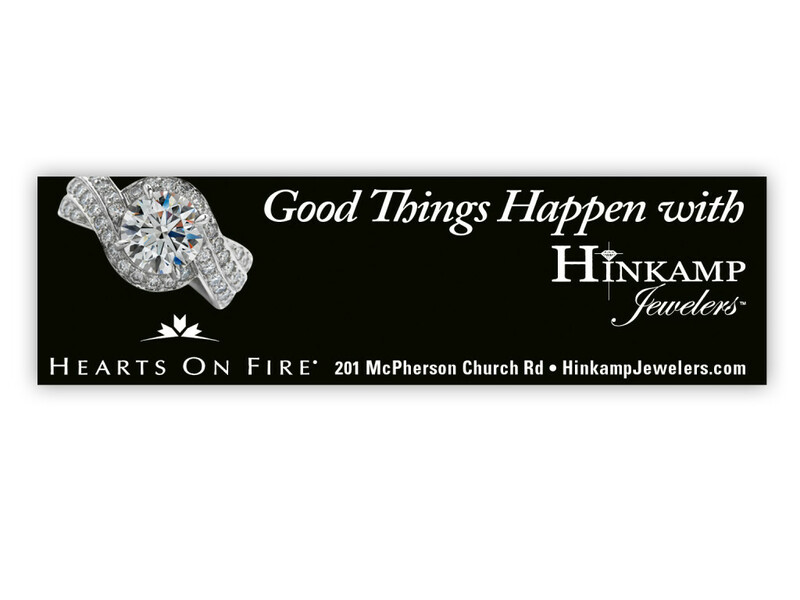 We developed the theme “Good Things Happen with Hinkamp” – used throughout their advertising – to convey the point that their beautiful jewelry and the personalized service they provide make holidays and momentous occasions more special.